Designs: The amazing old dark theme Lucax is back and included by default, with the fonts for the menus fixed. Improvements: Default audio volumes increased. Default messages and translations. Elive translator tool. Xterm default configuration and colors improved. Fixes: If your desktop is started with a wrong configuration of icons, which was a very rare case, now it is detected and fixed on the fly. 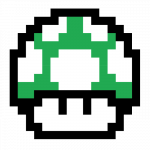 Color in the shell for the console mode fixed. Persistence: We are playing with a special Persitence automated configuration that will let the users to save their sessions among reboots on their USB Live sticks, this mean, keeping your own selected installed packages, personal configurations, installed drivers, or even if you uninstall an applications. This feature will be completely guided without requiring to do special configurations in your USB. Thanks to this gorgeous feature you can have your personalized portable Elive system in your USB stick with your complete suite of tools, files, or even your source files on which you can work from anywhere. Why you would need to carry your laptop if you can have your personal system in a such small device?